Around the 19 – 23 level you will be able to take on the area of West Potomac Park. In this area there are a number of SHD caches for you to collect. 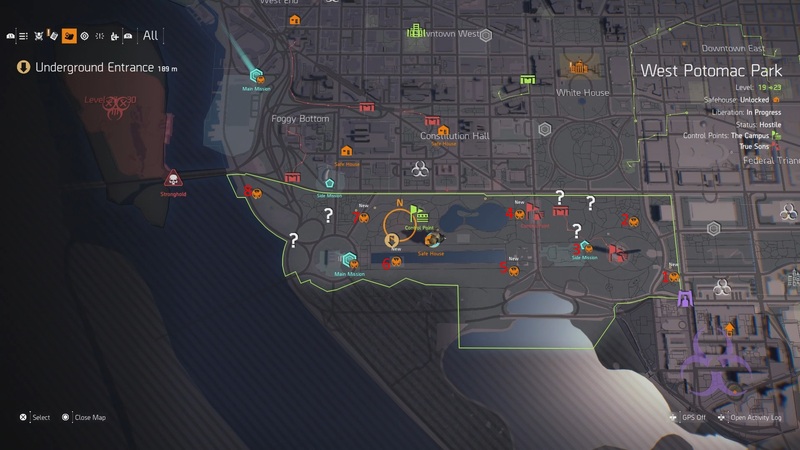 This guide will show you the West Potomac SHD Tech cache locations. West Potomac Park features a number of SHD Tech caches for you to collect. Use the map above to get the general idea of where to find each cache. More detail on each spot can be found below. I omit the Main Mission since you have to playthrough them. 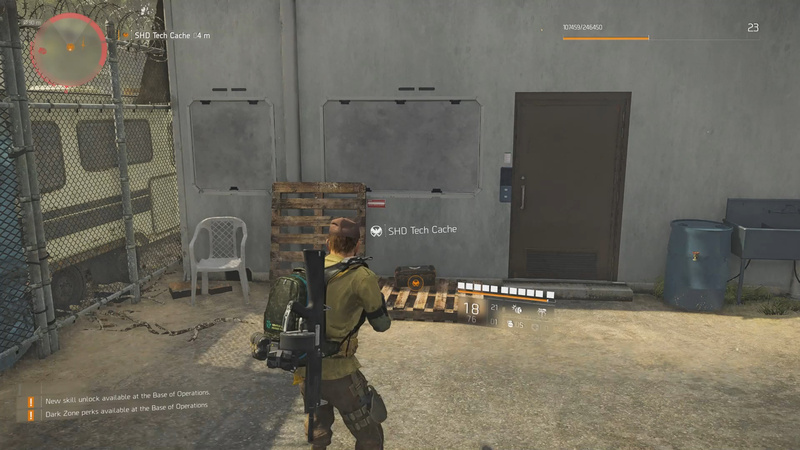 Note: To mark the SHD Tech caches on your map (like pictured above), interact with the agent’s computer in The Shop Safe House. SHD 1 is located in a Souvenir Shop basement. To get to the cache, go around to the north side of the building and look in through the window to the locked door on the westside. Shoot the lock then go inside. Go down the stairs and through the door to find the cache by some beds. Important: This SHD is accessible using a scoped weapon. Easy method shown in the video above by ZaFrostPet. 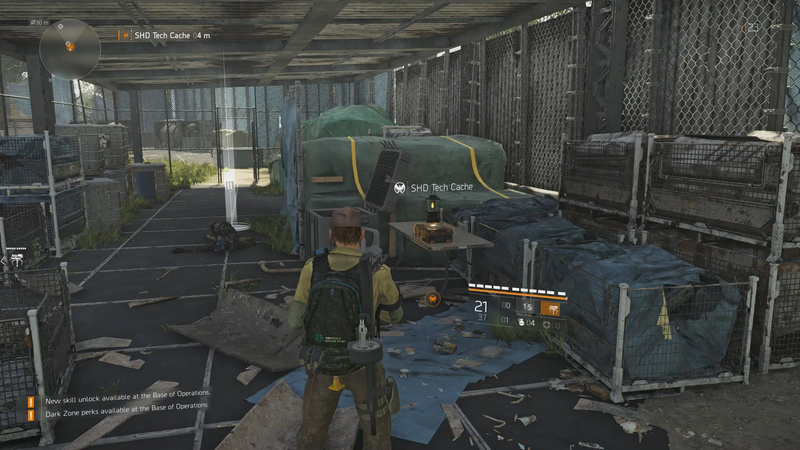 To reach this SHD Tech cache, make your way to the watchtower with the large American flag on it to the east of the cluster of shanties. Climb up the tower and aim towards the door to in the middle of the cluster of shanties (northwest of the tower your in). Shoot the lock off then run around to the northwest side of the shanties to find a yellow tarp you can climb up. Climb up then drop down and go through the now open door. You get 5 SHD Tech for completing the side mission called Drone Crash Site in West Potomac Park. 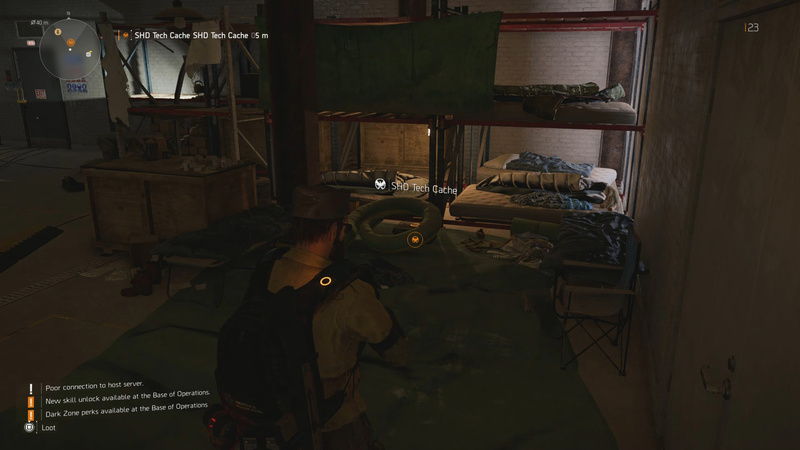 The cache you collect during the mission is located in the Medical Tent (can’t be missed). Approach this area from the east and look for a trailer parked along the fence. Jump up onto the trailer and then onto the roof. From the roof shoot the locked door and drop down. 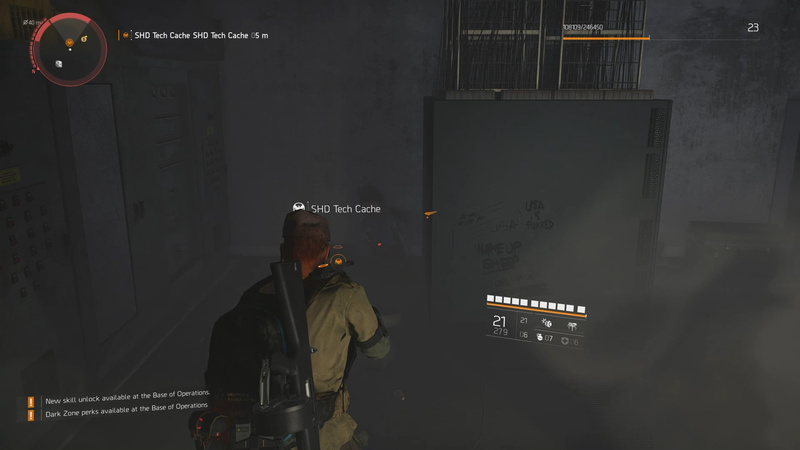 The SHD Tech cache is right along the building you dropped down from. This one is fairly straightforward. 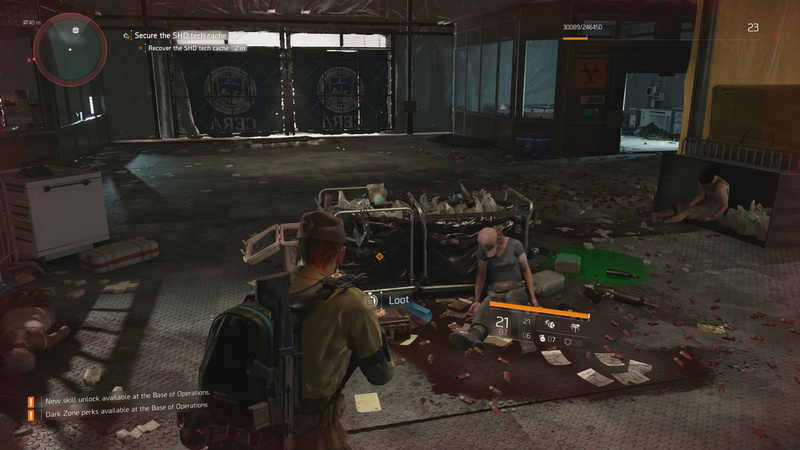 Shoot the lock off the door on the southside of the fenced area to reach the SHD Tech. You will need to go underground for this one which means using either the north or south Underground Entrances by the body of water. Once underground you need to make your way through the sewers until you reach a large room. Go down the stairs and you should see a locked room. Shoot the lock and go inside to grab the SHD Tech. 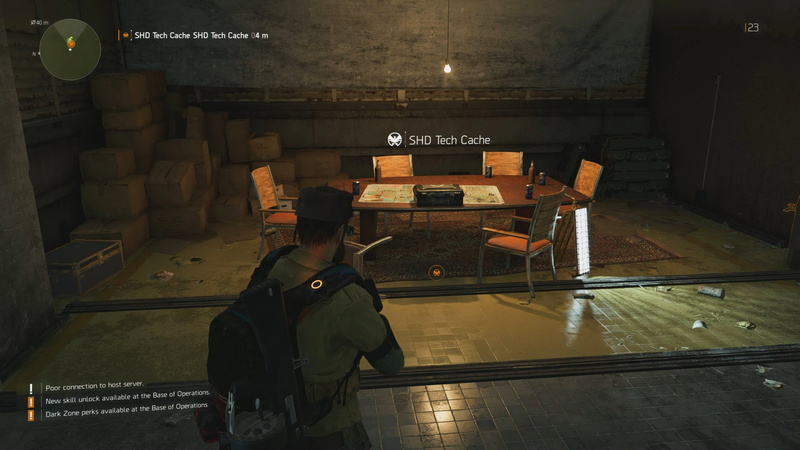 This SHD Tech is also located underground. To reach this cache use the southeast Underground Entrance off of Henry Bacon Dr NW. Once inside make your way north through the tunnel into the large room. Go upstairs an hang a left. You should see an echo by a doorway. Go in the room here to reach the cache. This one is located inside a fenced in area with a construction trailer. To get inside, go to the west side of the fenced area and look for a break in the fence. Aim through the break and shoot the lock on the door. Walk inside and grab the cache. That’s all the caches in the West Potomac Park. Hopefully this guide was helpful! 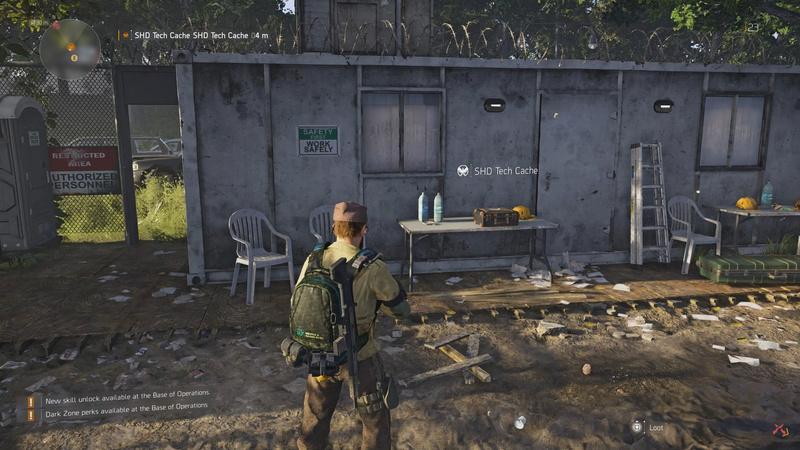 You can take the SHD Tech you earned from this area and use it to buy Perks and Skills at the Base of Operations. Thought on our West Potomac Park SHD Tech cache locations guide? Drop them in The Pit below. Oh, NM thanks for info. Found it.